First up is CyanogenMod. In a statement posted on the team blog (or is that company blog, now? 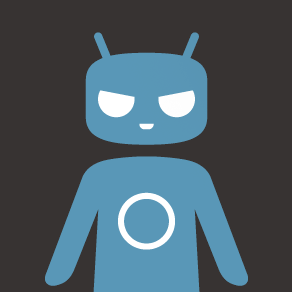 ), a CyanogenMod representative stated that the folks are hard at work on incorporating CM's features into new builds. Nightlies for various models, including the usual Nexus suspects and others like the HTC One, are already being worked on. Publicly available nightly ROMs are expected to be posted by the end of November. In regard to CyanogenMod's wide range of officially supported devices, the blog takes pains to note that KitKat's lower hardware requirements won't mean that older and more low-power devices will be getting new builds. Devices with a Texas Instruments OMAP SoC in particular may not make the jump, though I'd say that the various models of the Galaxy Nexus are probably safe for now. On to my personal favorite, AOKP. The update to Team Kang's unicorn-speckled page doesn't mention a specific timeline - in fact, they're loath to commit to any sort of ETA. But it does mention that the team has been divided in two: one side will work on perfecting a final milestone (stable) release based on Android 4.3, while the other will be building AOKP 4.4 from the ground up. A reorganized code base means that the first few versions will be "barebones AOSP," and the AOKP team will build the ROM's many features back into the public releases as time progresses. There's no mention of new device support, but it's probable that most of the current official builds will continue, plus new builds for the Nexus 5 and other recently-released, high-profile devices. Paranoid Android was one of the first organized teams to get fully functional 4.4 builds based on AOSP released, though they didn't include any of the ROM's celebrated UI features. According to this Google+ post, they'll continue to publish these ROMs for the various Nexus devices while slowly adding in their own functionality, making note of the new overlapping features in 4.4. PA notes that they will continue to focus on Nexus devices, with non-Nexus devices that were previously supported given priority over new phones and tablets. Omni ROM, a relatively new player with a focus on a multi-window UI, has also posted an update for their Android 4.4 intentions. They'll be throwing in a lot of new features on the 4.4 edition, including expanded support for a universal installer, over-the-air updates, more security features, and a user-activated screen recorder. According to the post they're hoping to publish nightly builds for at least some devices in the next few days, though I wouldn't expect those to be feature-complete. Currently the ROM is on track to be released for the Nexus devices, Oppo Find 5, LG Optimus G, and a few others, in addition to currently-supported phones and tablets. Of course there are independent developers all over the Android community who are pumping out ROMs based on AOSP 4.4 for all kinds of devices. If you're looking for something even more bleeding edge (or you've got a phone or tablet that doesn't get a lot of love from the major players), check the usual portals at XDA, RootzWiki, and the other well-traveled forums out there in Androidland.